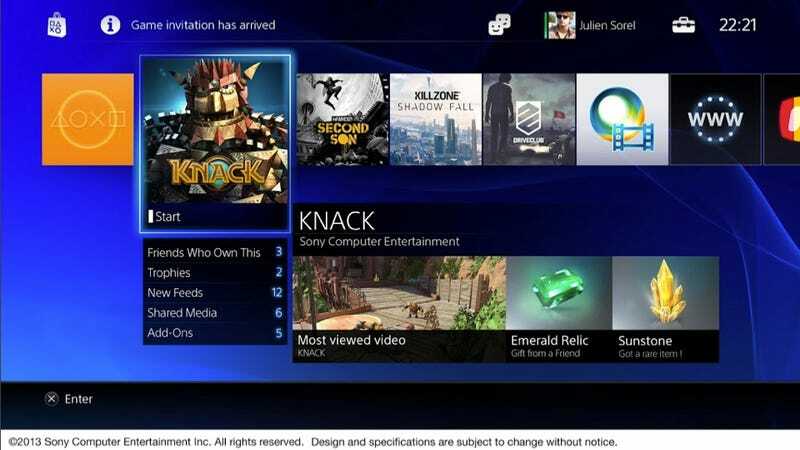 Today, screenshots showing the PS4's user interface have popped up online. 2ch, Japan's largest online bulletin board, is pointing to a series of images on Japanese site Game no Hanashi. The images looks like the user interface Sony showed at its recent event in New York City, and depict the user home page, which lists your friends, trophies, feed, and shared media as well as add-on content. There's also a profile page and a shared content page that shows how PS4 owners will share content with their friends. The screens also provide insight as to how the sharing process might work, including a Trim Video editing feature. Other screens apparently show how streaming and tablet viewing work for the PS4. Kotaku is following up with Sony to confirm the authenticity of these images and will update this post should the company comment. Update: Sony says they're real. In case you missed it, here's all Kotaku knows about the PS4.